When I attended the final Hey Mercedes concert at the Metro in Chicago in 2005, the opening act was celebrating their debut album release. And here it is. I'm also tacking on a song they recorded shortly thereafter. A little pedigree action going on here. 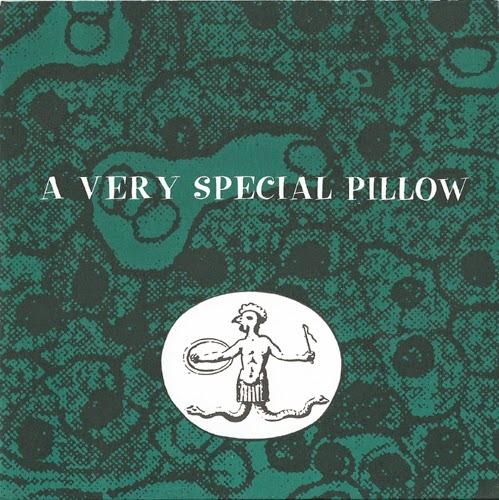 File under Yo La Tengo and Hypnolovewheel, cos' A Special Pillow entailed James McNew and Dan Cuddy of the aforementioned respectfully. Cuddy is actually the mastermind here, and the only consistent participant on the trio of full lengths that followed this 45. Just as significant are the contributions of violin shredder Katie Gentile and cellist Cindy Brolsma, who provide a poignant chamber pop element.. "Tomorrow Night" (not the Shoes classic in case you were wondering) is sheer naval-gazing bliss if there ever was such a thing. Slow, strummy, and even a tad glummy, it's the perfect slacker lullaby for hammock season. 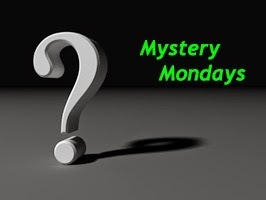 The flip, "Paranormal," is considerably more enthusiastic, with Gentile's chin-music savvy escalating the tune's fervor to something along the lines of Pillow's string-wielding contemps the Dambuilders. Two months ago, I introduced many of you to Crocodile Shop's 1987 ep, Head. With a quintessentially indie rock sound that drew from the choice stock temanating from the then contemporary Minneapolis and American Southeast, I was practically beside myself to learn that within a decades time the band was not only still active, but had adopted a thumping, industro-EDM modus operadni. Starling as that was, Croc Shop's metamorphosis was relatively gradual, and Lullaby was a none-too-telling chapter in their transition. With the Chameleons (UK) Dave Fielding producing, the trio cast their gaze on the chillier strains of post-punk, often threatening to breach into noir environs, resembling the likes of Wire and the Comsat Angels. Frustratingly, Lullaby doesn't fully blossom until the latter half of side two, closing out with a trifecta of tense, yet melodically adept numbers. All in all, more substance than schtick, and a grand finale worth hanging around for. The 1986 album from an unheralded Minneapolis combo. Lots of ringing guitar leads on this one, not dissimilar to another troop from this era, Dreams So Real. Thirty links or so revived from the dead. Some of these were requests, others were items that may have been neglected or passed over when I initially posted them. As usual, click on the artist to refer back to the original entry, while the titles will steer you directly to the download link. 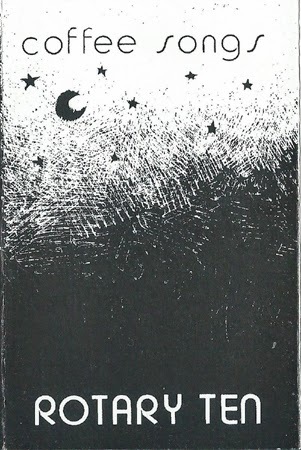 Pavement - Black Out 7"
I went into this one with a couple of serious misconceptions. Doll Congress' lineup contained a pre-solo/pre-fame Michael Penn, who would later rise to prominence in the late '80s with a big 'ol Top-40 hit. He also happened to be the brother of Sean Penn. I was under the impression that Michael fronted Doll Congress. Not exactly. Furthermore, an unverifiable source led me to believe that D/C were all about the power pop. Waaaay off the mark. The lead-off number, "Concrete and Clay" is outright owned by chanteuse Gabriele Morgan, whose ungodly high pitch is at the very least an appropriate pairing for this tropical slice of pseudo new wave. Clearly not what I was expecting. The two flip-sides are at least a tad more in my wheelhouse. The comparatively rockin' "Easy to Touch" bears a bouncy, Blondie-esque panache that I don't have nearly as much of a beef with, and we finally get to hear Mike adorn the mic on "The Main,"the closest Doll Congress comes to offering conventional guitar chords. Make what you will of this long defunct L.A. quintet. Presumably taking their name from the R.E.M. song, it's virtually inevitable for me to draw some sort of parallel between this Cleveland area quartet and Michael Stipe's former meal-ticket. 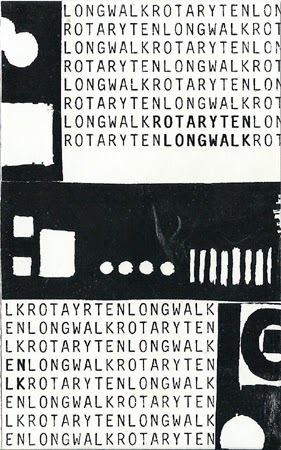 Rotary Ten, in fact, didn't siphon as much as you might assume from said Athens, GA staple, so much as the bands whom R.E.M. informed - Miracle Legion, For Squirrels, and even more negligibly Toad the Wet Sprocket. Submitted for your approval, two low-budget forays into the unlikely realm of organ-laced indie pop. The proceedings on Long Walk and Coffee Songs emanate a discernible collegiate ardor, yet are uniformly approachable. Rotate Ten wield some fairly ambitious melodies when they put their collective minds to it - "Glacier Run," "Rainfall" and "Insomnia" for starters. Otherwise, I have precious little else to opine on here. However, I'd be remiss if I didn't mention that some of these songs are available on an R/T compilation from this period, Adopt a Highway, which is attainable via Bandcamp, alongside a collection of later material. Should you find anything stimulating on these cassettes, please consider supporting the band and send a few $$ their way! From 1993. Stellar indie rock from Canada, with nods to Sonic Youth and Superchunk. Loads of sweet jangly breaks throughout. 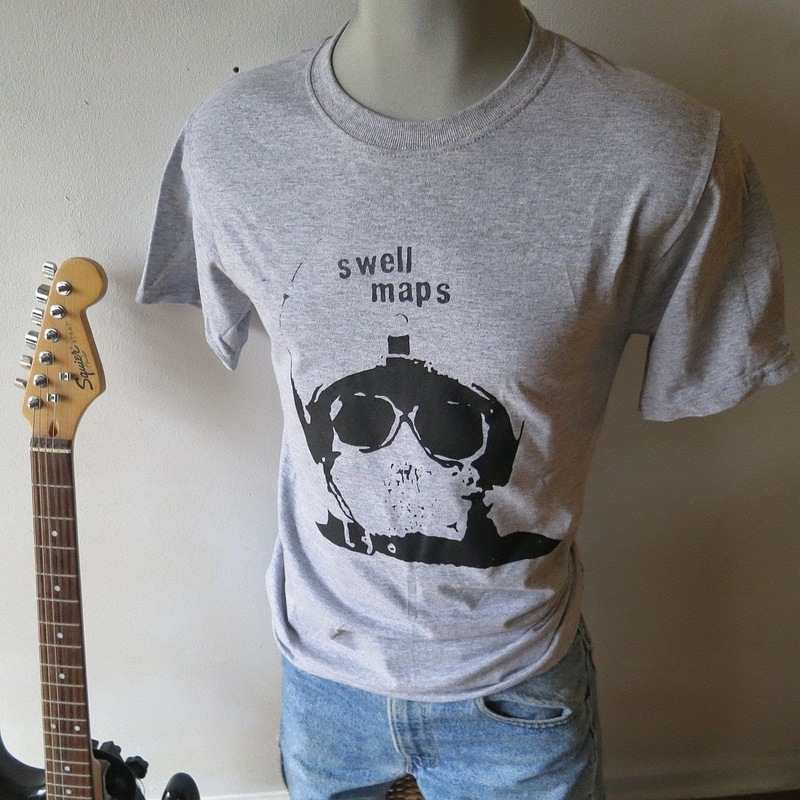 Swell Maps - rehearsals, outtakes, etc. I didn't rip much vinyl this week, nor do I have much time on my hands today, but since I've been on a bit of a Swell Maps kick of late, I thought I'd toss this out there. You might say this very hodge-podged, bottom-of-the-barrel scraped collection is only for the most dedicated devotees of Soundtracks, Sudden and Head. In case you're wondering, this wasn't assembled by yours truly. The main attraction here is arguably a highly shambolic concert tape from 1979, running a good forty minutes. No "hits" here folks, but some of this stuff is more constructive than I might be making out. For those of you who want to properly acquaint yourself with these seminal, post-punk noiseniks, I would recommend beginning with their two albums, A Trip to Marineville (1979) and Jane From Occupied Europe (1980). You might also be further enlightened regarding S/M by gleaning this. The gentleman on the cover is flipping us da bird, and for the life of me I can't figure out why. Maybe I shouldn't take it so personally. 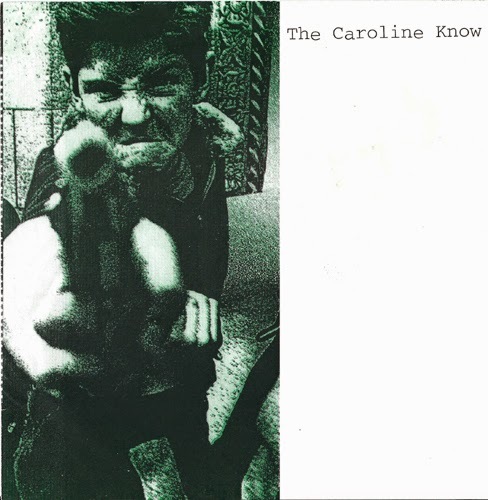 My familiarity with The Caroline Know starts/ends with this particular single, though they had at least one more, and even a full length to their credit. Jason Loenstein (yes, from Sebadoh and Folk Implosion) had some involvement with this Massachusetts indie rock proposition, but by the time the "finger" single dropped he was out of the picture. Perhaps even more significantly singer Stephen Rand passed on in 2011. His distinctive timbre doesn't go unnoticed, and neither does the C/K's guitar interplay, ostensibly inspired by Dean Wareham (Galaxie 500 and Luna). Both tracks qualify as 'growers' in my book, but I'm compelled to investigate further. Another Orange County jewel. 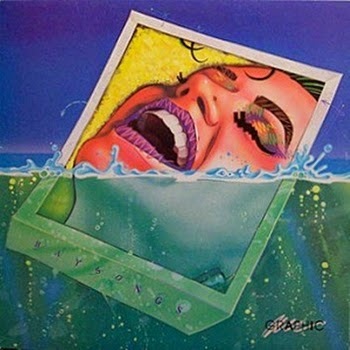 Blurring the lines between new age and new romantic (skewing heavily to the latter), Graphic's surreal choice of sleeve art is somewhat reflective of the occasionally exotic and sublime music ensconced within Baysongs. I'm honing in on traces of Haircut 100 and the Three O'clock, among such other plush contemporaries, but there's a freshness and sophistication to these ten cuts that thrust this Irvine, CA quartet beyond the pop stratosphere. I might also add that tasteful flourishes of sax blend in smoothly with Baysongs breezy proceedings. Cool disk. If you want to take this one out for a test drive before d/l, someone has made a streaming version available on Bandcamp. The version I'm offering below is my own rip. Pure pop for not-so-now people. From the Great White North, circa 1987. Impeccable stuff here my friends, and one of the best M/M titles I've shared in awhile. Re-ups from the past two weeks. Enjoy. Thanks for your requests. The Odolites - Face Down in the Violets, Persistence of Memory ep, Chimes 7"
Was surprised to see this one wasn't archived elsewhere online (save for Discogs). 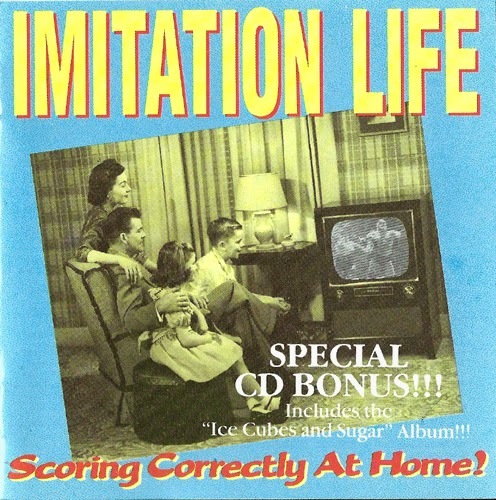 Imitation Life presumably called Los Angeles their stomping ground and had two albums to show for themselves, 1986's Ice Cubes and Sugar, and the more impressive Scoring Correctly at Home which followed two years later. The latter of those two is sequenced first on this two-fer CD. More pub rock than power pop, I/L also veered into punk and roots rock terrain, sounding like a crossbreed between Dramarama, and such no-nonsense traditionalists as NRBQ. Per the sleeve notes, John Easdale and Chris Carter of the aforementioned Dramarama actually make guest appearances here, though they aren't credited on any specific songs. And speaking of songs, there are some pretty phenomenal ones hanging out on Scoring..., namely "Sad Man," and "(I Don't Wanna) Shake in the Shadows." This one had been sitting on my shelf for a few years, and I could kick myself for not getting to it sooner. Better late...enjoy. Learning what stars are made of. Yes, I was into these guys for a spell. Noise meets rock, rock meets noise. Included is their 1993 debut album, as well as a compilation of singles and unreleased material circa 1992 that wasn't issued until 1995.